Peter Gilbert, social worker, director of social services, professor of social work and spirituality, writer on mental health died last Thursday, December 12, at the age of 63. Peter learned at the end of 2012 that he had motor-neurone disease. This distressing and progressive disease could not have hit him at a more ironic time. He was half way through editing a handbook on Spirituality and End of Life Care, published in July 2013. It focused not just on the person with a terminal condition, their carers and professionals in palliative care, but examined wider issues surrounding end of life care and the leadership required to provide excellent services. The royalties from this book have been donated to the Motor Neurone Disease Association and St Richard's Hospice in Worcester where Peter spent the last weeks of his life. There were multiple dimensions to Peter's life but everybody knew the same encouraging, kind and inspiring manner towards other people. It was founded on his personal values about every person's worth, worldly and spiritual, which transcended any single religious belief. 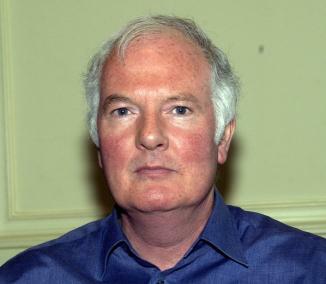 It was mostly after ceasing to be a director of social services in 2001 that Peter became widely recognised nationally for his championing the principles of social work and social care, for his writing and leadership in the fields of mental health and spirituality, and in many academic and voluntary sector leadership roles. Peter was educated at Worth Abbey Benedictine School in West Sussex and at Balliol College, Oxford, where he read modern history. His first career was as an army officer with a Queen's Commission from Sandhurst in 1970. Peter made the switch to social work in 1974, firstly as a trainee in West Sussex, and then a Master's Degree at Sussex University. He returned to West Sussex until 1987 in various roles which became so formative for his later career - developing services for people with learning disabilities and their families, assisting the closure of a former workhouse and long stay hospital, co-founding an early community mental health team and practicing as an approved social worker under the 1983 Mental Health Act. Peter's developing management career took him via roles in the London Borough of Merton and Kent to Staffordshire in 1992 as operations director with responsibility for implementing the 1990 NHS and Community Care Act. It was during his work there that he and I first met while I was doing parallel work in Suffolk. In Staffordshire, Peter helped establish a new organisational culture following the 'pin-down' abuses, working closely with the NHS, improving standards, introducing new policies and systems, and developing innovative training programmes. Peter became the first director of social services in the 'new' county of Worcestershire in 1997, de-coupled from the previous Hereford and Worcester. Unlike in so many other parts of the country where local government changes were acrimonious with long-lasting damaging effects on services, staff and reputations, Peter and his Herefordshire director colleague worked together to continue joint arrangements for some services in a spirit of mutual supportiveness. Peter became active in the Association of Directors of Social Services (ADSS) and a good colleague to many other directors nationally. He left Worcestershire in 2001 with many positive achievements. His departure coincided with a period of depression about which Peter has spoken and written openly, and the experience of which he has incorporated so empathetically to others in his subsequent social care and mental health leadership roles. To many of us over the last decade Peter became a warm-hearted convivial friend in the Association of Directors of Adult Social Service (ADASS) Associates Network and elsewhere. For me, he became a regular running companion at annual national conference and seminar events around England, from the windswept promenade at Brighton to muddy hills around Harrogate. I recall vividly Peter standing attired in Worcester Black Pear Joggers running kit in hotel reception areas waiting patiently for others to join him. We had breathless conversations together which I richly remember, parts of others which I cannot recall and, worst of all, conversations which I regret I never had. To many others over the last decade it has been Peter's writing and encouragement at events around the country on spirituality and mental health which will be the most powerful memories. Late in 2001 he became social care advisor to the National Institute for Mental Health (NIMHE) and later NIMHE/Social Care Institute for Excellence (SCIE) Fellow in Social Care, promoting a social care focus in mental health where so often a health care or medical model was pre-eminent. Peter co-authored the ADSS/NIMHE national guidelines on integrating health and social care. With others, Peter founded learning sets for directors of social care in NHS mental health trusts. These developed into the Social Care Strategic Network (SCSN) which he facilitated from its start in 2003 until his ill-health. Peter's great skill, more than any other, was the ability to enable practitioners and managers to express themselves, their views, wishes, fears or doubts in a way in which they can feel safe and supported. He helped health and social care professionals open up conversations about religious beliefs (or non-belief), their own and those of the people they are trying to assist. So often this is difficult, if not impossible, without misunderstanding or the risk of stereotyping judgments by others. In many parts of the country this is lasting legacy to Peter's influence. Peters approach recognised what should be obvious: that many people who are troubled by mental health problems or other challenges in their lives often have their own beliefs and/or doubts and about which they need to be able to talk with a professional who not only has skills of empathy, but is also confident enough to listen and able to talk in a language of spiritual appreciation. Clearly Peter's own Roman Catholic faith was very important to him, but he talked in a language about spirituality which overcame denominational boundaries. From being the NIMHE lead on spirituality up to 2008 Peter became the project officer for the National Spirituality and Mental Health Forum. It was from a conversation there early in 2013 that it was decided a book should be produced with contributions from many people who have known Peter well. It is planned to be published early in 2014 with a probable title Crossing the River', words used by Peter describing the death of his own mother in 1979. It will aim to encapsulate the four main areas of Peter's work on spirituality - leadership, social care, mental health and inter-faith. In recent years Peter's work and writing has received other widespread recognition. He has been professor of social work and spirituality at Staffordshire University from 2005-10 and subsequently emeritus professor, associate fellow at both the universities of Warwick and Sussex, visiting professor at Worcester, senior associate at the Royal Society of Medicine, chair of the National Development Team for Inclusion from 2008-10, expert witness in court proceedings, and has written and edited extensively for publications - most notably, Spirituality and Mental Health published in 2011. Acknowledging the fact that his PhD thesis was incomplete, in May 2013 Staffordshire University awarded him an honorary doctorate in recognition of his work on spirituality, social work and leadership. Just last month in November Peter was recognised at the Social Worker of the Year Awards 2013 for his outstanding contribution to the profession. An equally fitting tribute Peter's life and work now would be for health and social care professionals and senior managers, and perhaps politicians, to take some time out to read Spirituality and End of Life Care and reflect on how we might all contribute to ensuring excellent, informed, compassionate and dignified end of life care. Peter will be greatly missed by many, but most especially by his wife Sue, three daughters and one grandson.